Improve your customer service by automating tailored communications, saving time, and increasing conversations. Schedule relevant messages for different audiences and situations. The information gathered on the customer (PMS, booking engine, or others) is enriched with reactions to messages and is fed into the management system in real time. 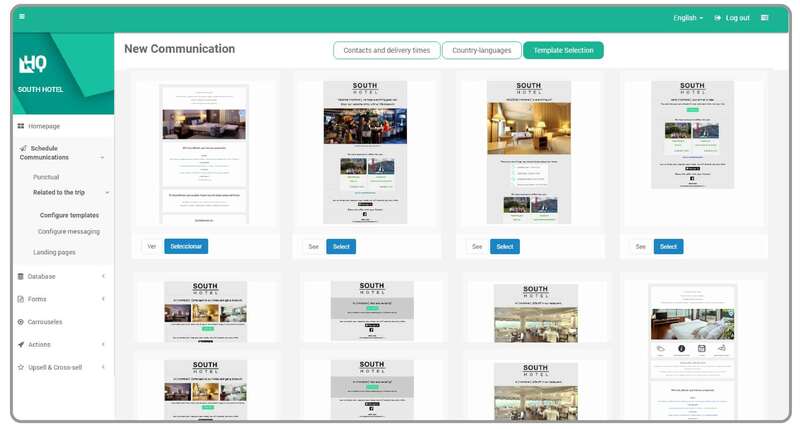 Centralized scheduling and automation of communications makes for optimal communication integration for pre-in-post stay messages. Define the dynamic channel to use with your customers from your communications manager (email, sms, Facebook, etc). Create unique messages for specific segments applying segmentation rules by profile, spending, booking channel, booking frequency, or opinion variables. Managing the unique customer ID to create highly personalized and contextualized messages based on previous activity. Measure reactions to your communications and tweak based on call-to-action results. Link your campaigns to booking trackers.